I have a couple of these. Beautiful slabbed coin you have there! trying for a 70 and had to buy this one graded. Did NGC ever recognized the "10 spears, 8 spears, 3 spears, disappearing spears, etc." that was a hot topic a while back? I have not seen any NGC nor PCGS graded Kublai Khans on EBay with mention of spears variety. Frankly, I don't expect them to anytime soon. These are minor frosting variations except the "small army" variety which indeed is a different die. 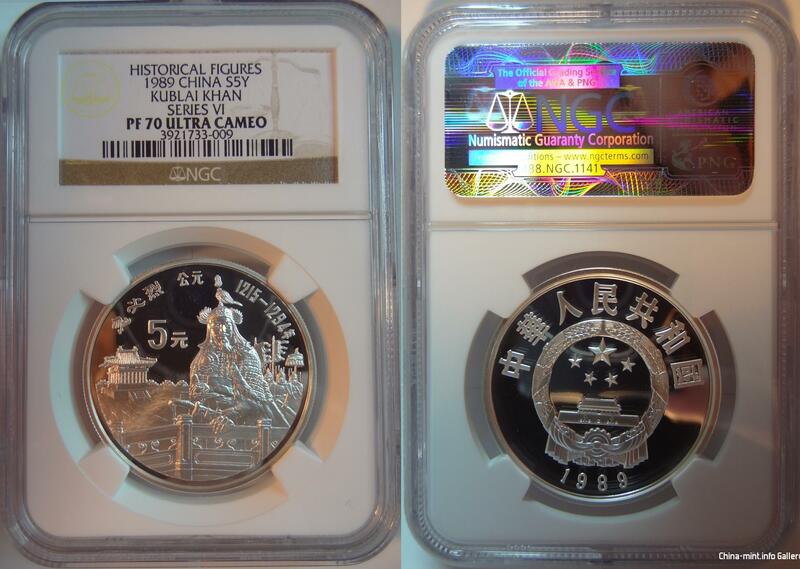 NGC does recognize what I considered as minor frosting variations in panda coins, but panda is the MCC flagship product so it deserve special attention. Congratulations for this coin in 70. I quite like the frosted spears Kublai Khan I have in 69 posted in the Gallery also. Looking for another of those but supposedly only 250 exist. Frosted spears in 70 would be nice. Surprising that they created a coin for Kublai Khan since he and his predecessors probably killed many ethnic Chinese, it’s almost like if Israel minted a coin of Hitler. I guess time heals all wounds.